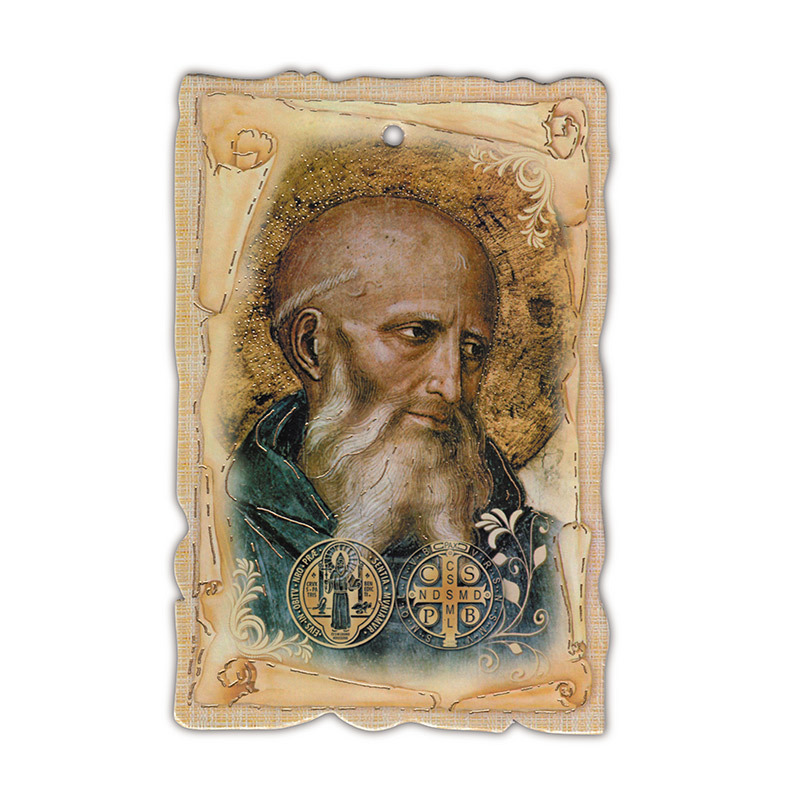 This devotional plaque comes with a full-color image of the St. Benedict on front and contains a prayer on back. Contains a small hole for easily hanging on a wall or by adding a small ribbon it can become an ornament. Dear Saint Benedict, you practiced what you taught, fervently praying for God's glory and lovingly working for God and the benefit of others. You know the many dangers that surround us today. 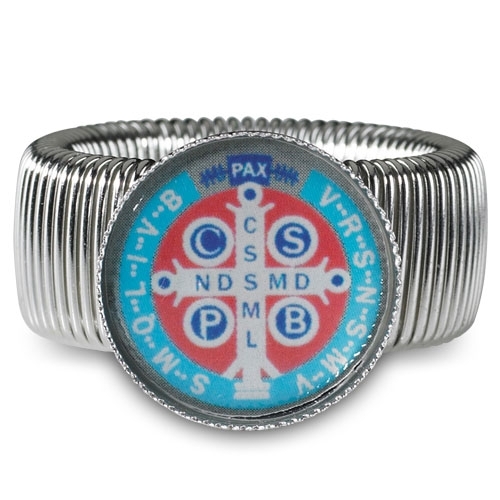 Guard us against the poisoning of our spirits, souls, and bodies, and thus be truly a "Blessed" one for us. Amen.